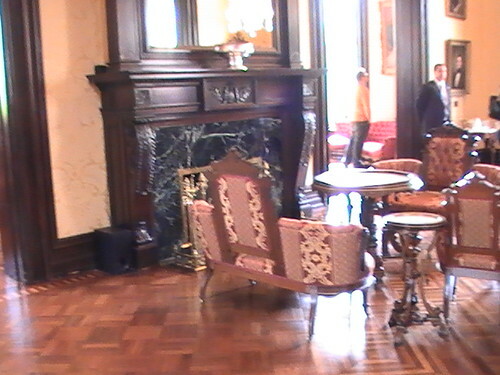 The fireplace in the parlor is on the end wall with the carousel seating in front of it. 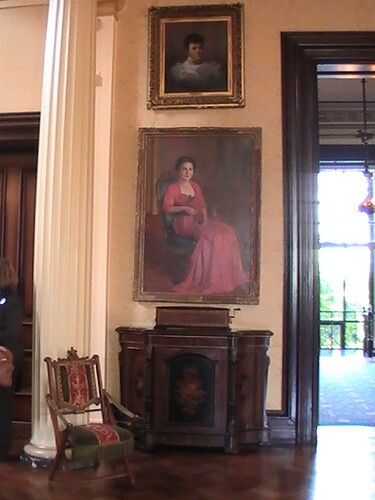 At the other end of the parlor is a harp and a portrait of Melanie Blunt. 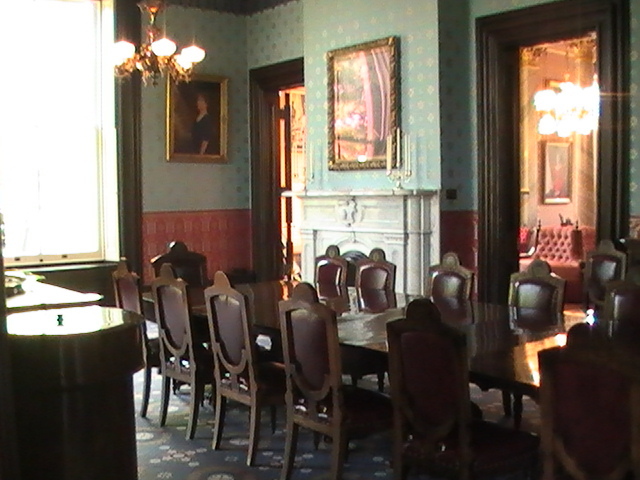 Dividing the two ends of the room are marbled columns. 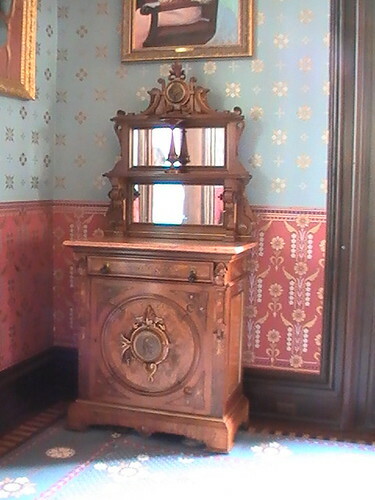 No matter which direction you look in the mansion–including up–there’s beauty. 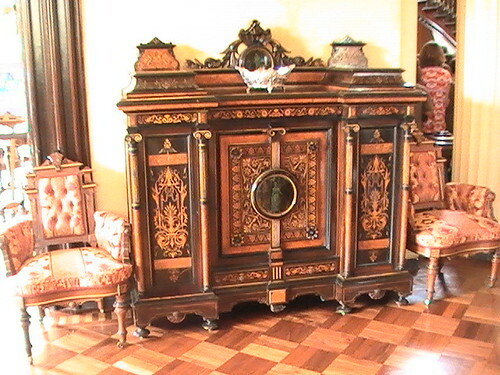 I stood next to a decorative sideboard (shown later) to take this picture and looked across the dining table at one of the fireplaces in the room. The other is to the right of where I stood, on the end wall. 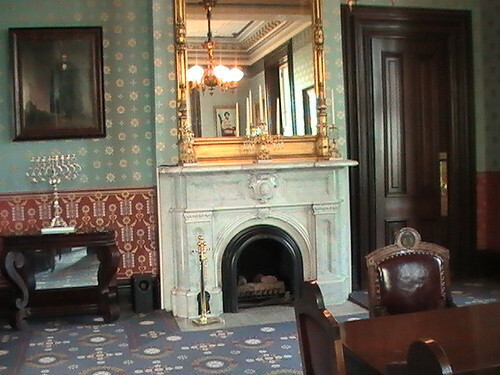 Notice anything odd about the piece of furniture to the left of the fireplace? 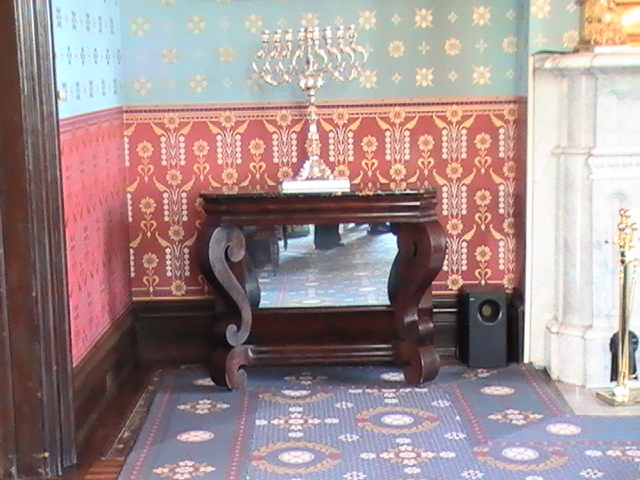 The mirror was placed near the floor so that ladies in the olden days could check to make sure that their petticoats weren’t showing. That mirror is balanced by one at normal height at the other end of the room. 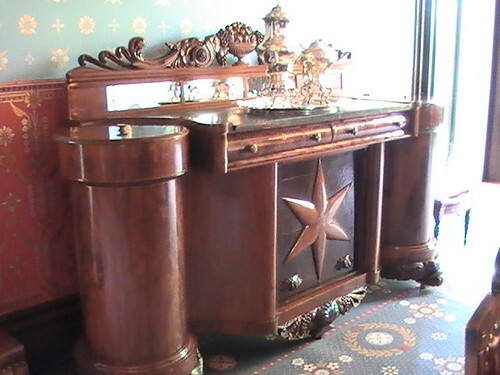 Looking across the table at the sideboard, you can see the docent in period costume talking to a tour group. I should have found out what the purpose is for the cylinders on either side. Anybody know? Here is the front view of the Missouri governor’s mansion. The docents dress in period costumes for the tourists. 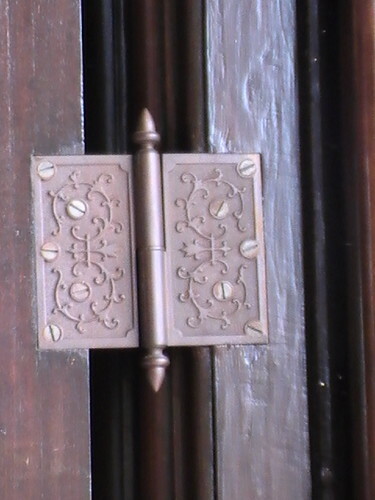 No matter how long you linger, you’ll always find new details you hadn’t noticed before, like this hinge on the front door. 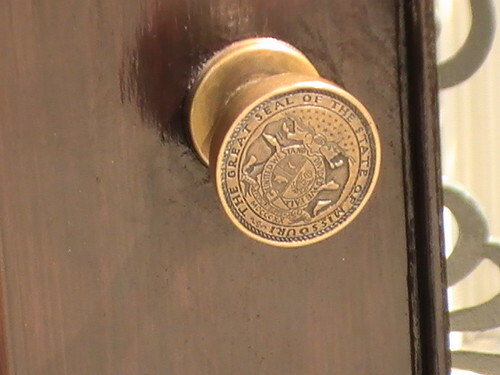 In fact, when Jane Bruss pointed out to me the Missouri seal on the front doorknob, the docent was startled. Even she had failed to notice that. 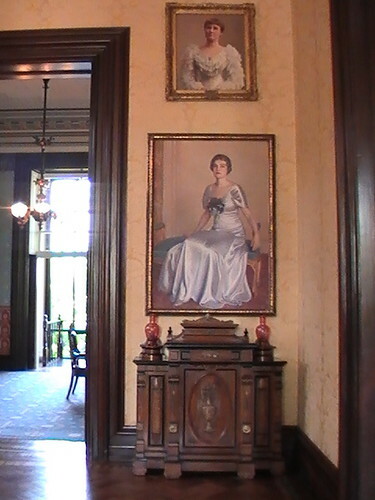 As you walk into the foyer (I’ll save shots of that for another posting), a small parlor lies to the left. It was closed that day in April for redecorating. I won’t even guess at how many hours it takes to repaint all that fine detail. 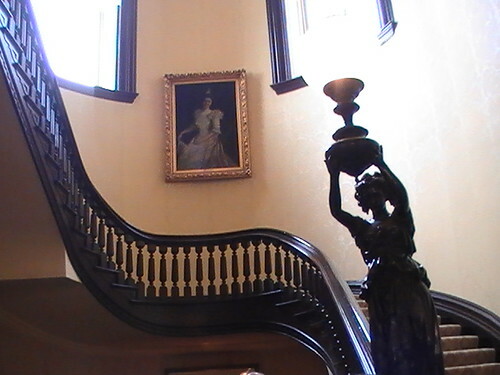 The docent told us that a young man who was playing Tom Sawyer in some theatrical production got a chance to slide down this banister into the foyer.